Living Room Cinema: Films from Home Movie Day, Vol. 1. 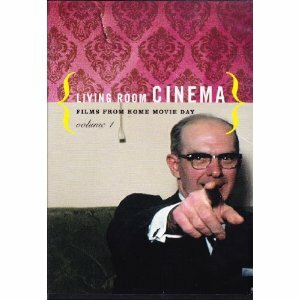 A DVD compendium of twenty-two films from the first two years of Home Movie Day, revealing a range of amateur films as varied as the filmmakers behind the cameras. Buy it directly from Center for Home Movies! Clip from the DVD: Tarzan and the Rock Gorge (1936). Sixteen year old Robbins Barstow, an Amateur Cinema League member and a fan of Johnny Weissmuller’s Tarzan movies, rounded up his siblings and friends and led them into the wilds of Granby, Connecticut for this epic tale of a journey into Edgar Rice Burroughs’ Africa.